The studio tour is here…..hard to believe how fast the time has gone by. We are open at 10 a.m. until 5 p.m. tomorrow and Sunday. Eric Ranveau is my guest. He hails from France where he studied art and graphic design. His work is incredible. 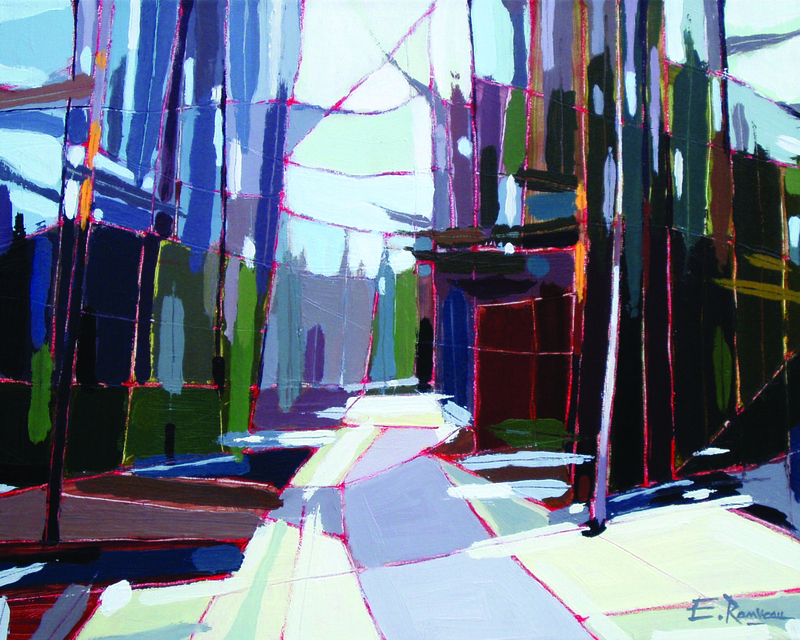 Deborah Downey of the Dundas Star interviewed Eric and there is an interesting article which is informative about Eric and his art. And my spring garden is finally starting to waken. Velvety purple irises are blooming as are some tulips. Our tulip supply has dwindled as we have had an overabundance of deer snacking on one of my favourite flowers. The viburnum which is a bush that has white flowers in layers or tiers across the garden is, unfortunately, late in blooming this spring. So no magnificent flowers but they too will arrive. 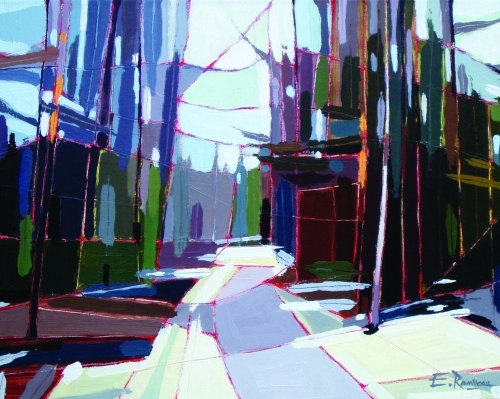 The painting featured in this post is by Eric Ranveau and one of my favourites – but has sold.